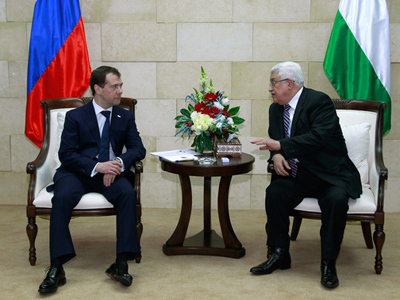 In the run up to Quartet talks scheduled for next month, Russian President Dmitry Medvedev on Tuesday met with the head of the Palestinian National Authority Mahmoud Abbas in his residence Gorki, outside of Moscow. ­The talks were held in view of the forthcoming session of the so called Quartet on the Middle East – comprised of the United Nations, the United States, Russia and the EU – which is scheduled to take place in Moscow in April. The Quartet’s last session ended without result as the Israeli and Palestinian sides could not agree on their stance over Israeli settlement policy. Abbas stressed that the Palestinians were not going to abandon the peace process despite the tumultuous events that have been shaking the Arab world over the past two months. "Indeed, what is happening today is effecting us directly, but we will not reject this peace process and will continue efforts aimed at securing fair peace between the Palestinians and the Israelis," Abbas told reporters following his talks with the Russian President. 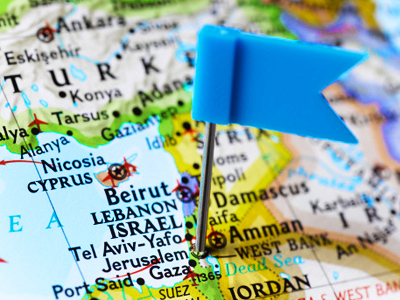 Saying that the events in the Arab countries were “affecting us directly,” the Palestinian leader said he would like to discuss the current events in North Africa and the Arab world with the Russian president. 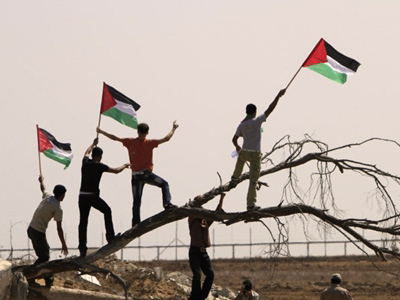 The Russian President reiterated that his country will continue to contribute to the resolution of the Palestinian-Israeli standoff despite the growing tensions in the region. Abbas also said he hoped that the Hamas movement would support his initiative on internal Palestinian settlement and this will allow a date to be established for presidential and parliamentary elections. 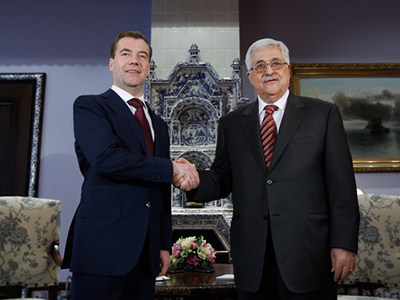 Tuesday’s talks were the second meeting between Abbas and Medvedev this year. The Russian leader visited the Palestinian territories in January during his official visit to the Middle East, and held talks with the leaders of the Palestinian National Authority in the city of Jericho.